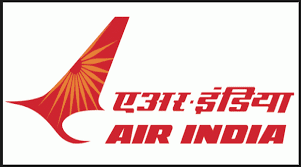 Air India Limited Has Invited Application Form for 20 Assistant Supervisor. Age Limit: Candidates upper age limit should not exceed 33 Years. Age relaxations will be applicable as per the rules. Educational Qualification: Graduation Degree with diploma in Computer Applications/ Certificate Course or its equivalent qualification from a recognized Board/University. How to Apply: Eligibility details for Air India Limited Job Advertisement and Attend walkin Interview On 30-09-2016 (30th September 2016).